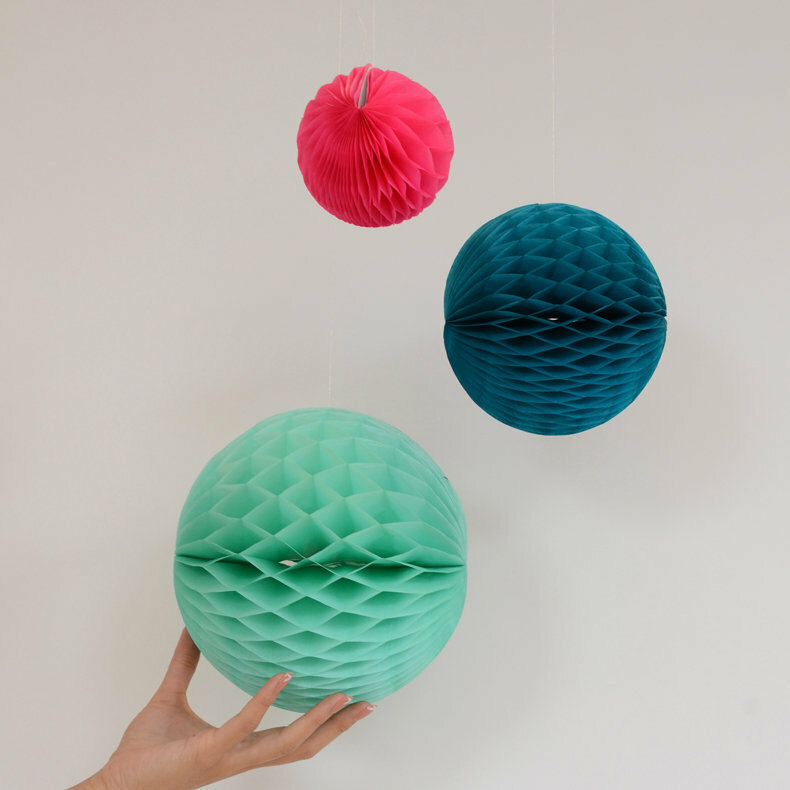 Using and putting up your Honeycomb paper balls is easy as can be, like any hanging paper decoration. 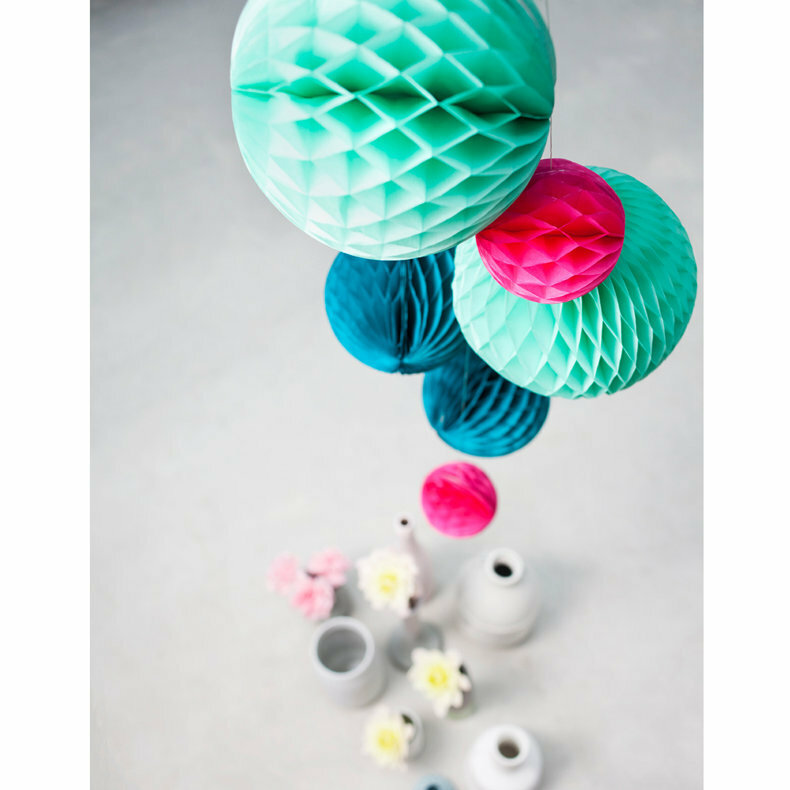 Unfold the paper balls and either use the included stick-on or any other method to hang them where you wish. Those of you with a creative touch can make magnificent combinations of one or many colours. 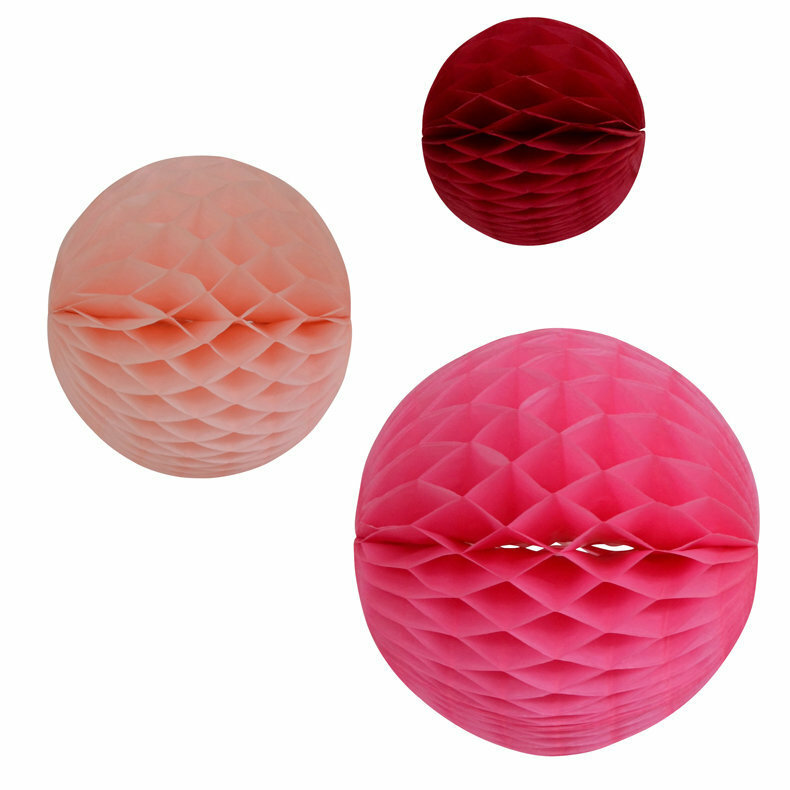 WHEN TO USE YOUR HONEYCOMB PAPER BALL? 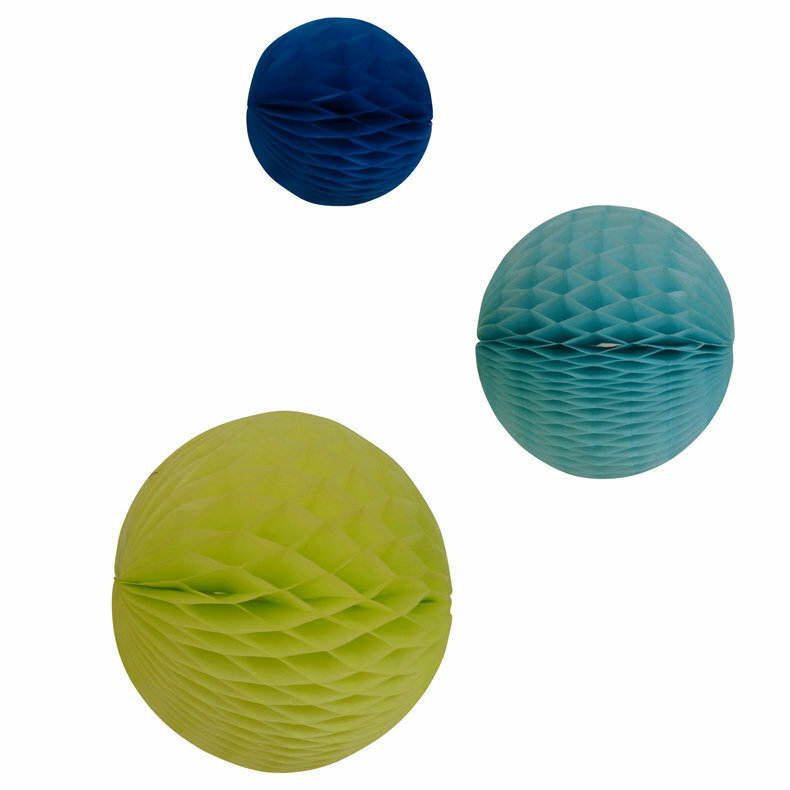 For parties: We often associate folding paper balls with children's parties, but they can liven up adult festivities as well. As if often the case, it's all question of composition and choice of colours. 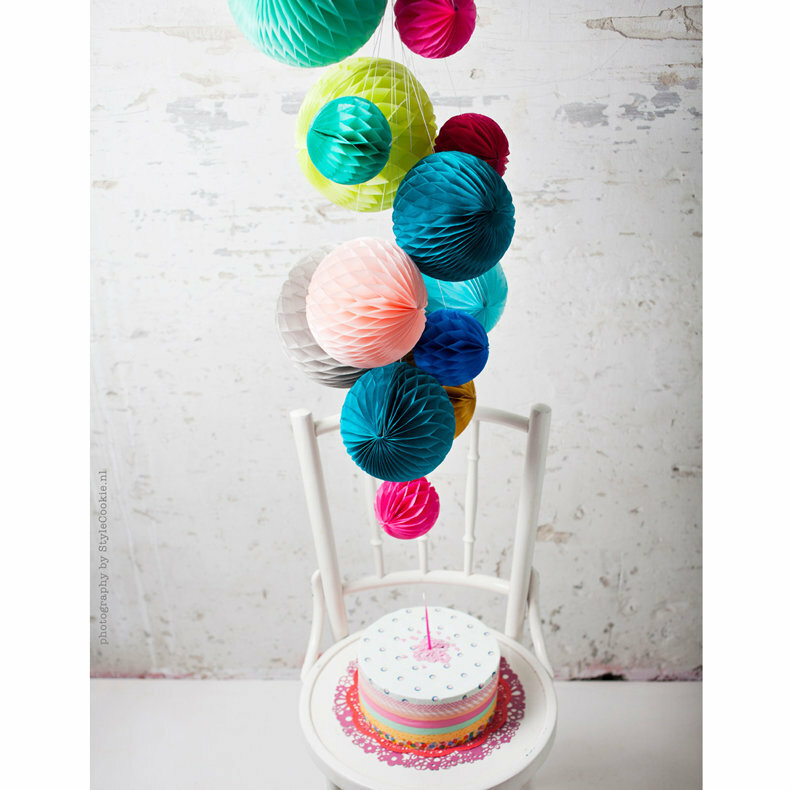 For a kid's birthday party, a baby shower, or a first "tween" bash, opt for bright, cheerful colours. 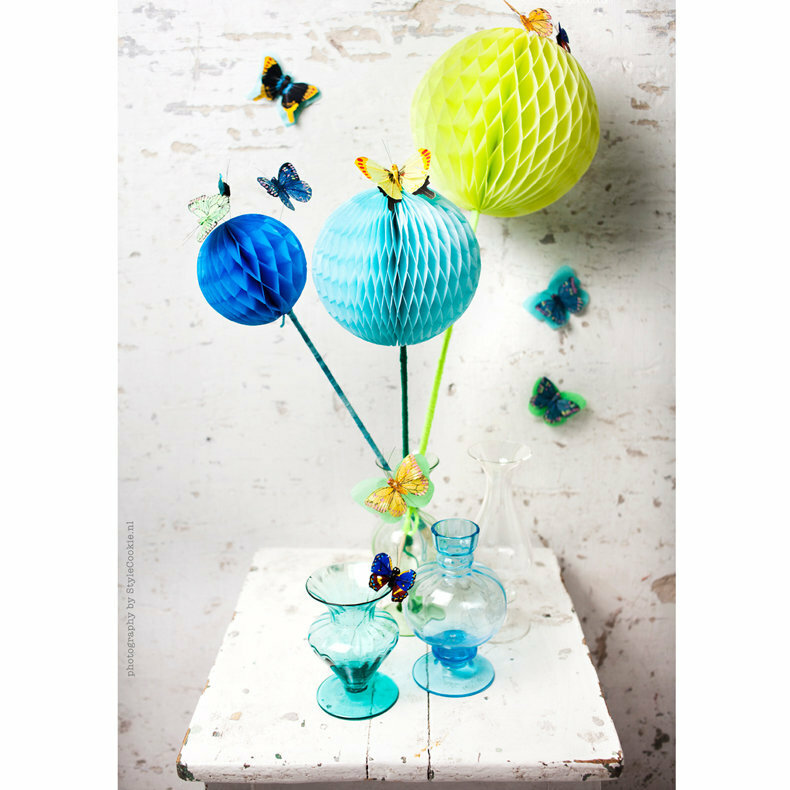 For a party for adults, a marriage, or traditional holidays like Christmas or Easter, try colour zones using shades of the same colour...now its up to you! 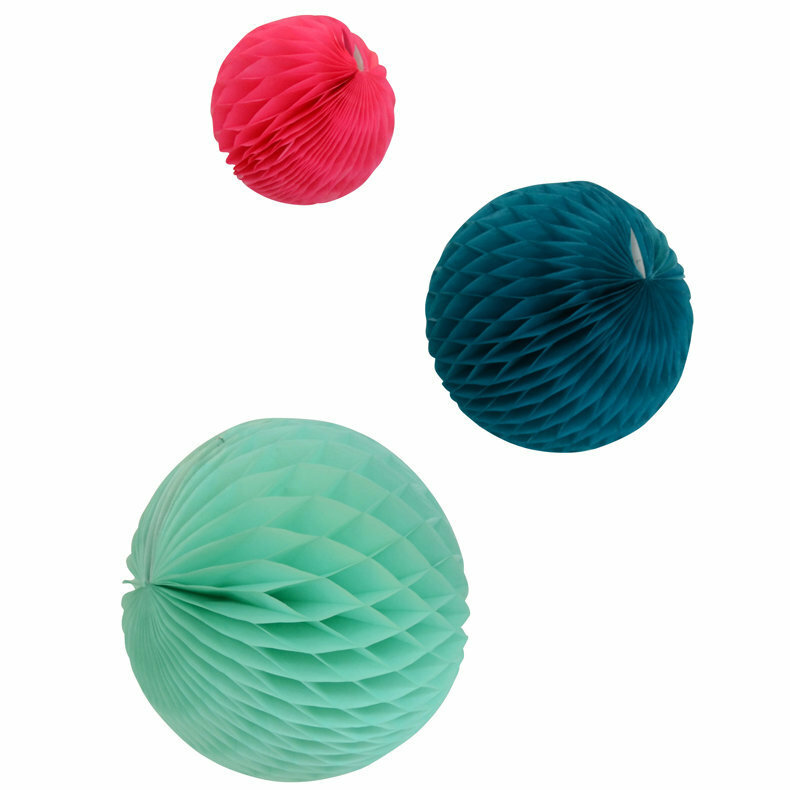 As decorative elements: you don't have to have a party to hang up these decorations. You could also use them to brighten up your daughter's room, to add a touch of colour to drab office, or to liven up a store that's a bit too stuffy. easy: an ultra-easy-to-use product that can deliver a spectacular result. reusable: fold and unfold it as often as you like. 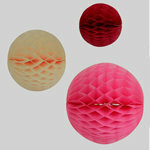 You can use your paper ball decoration many times or even lend them to friends. Once folded, they take up very little space. 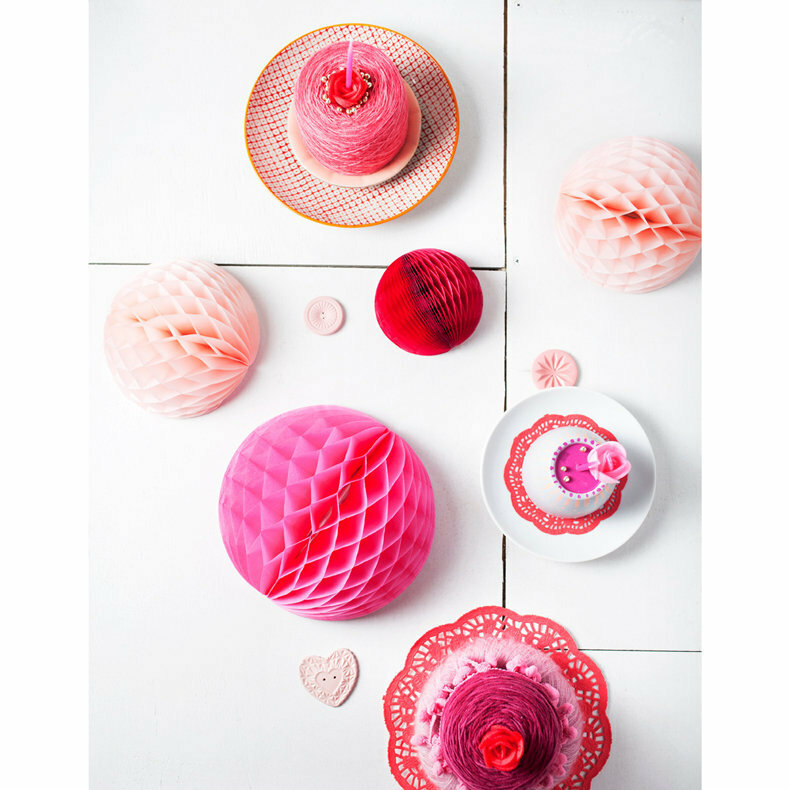 stylish: these handmade Honeycombs come in fashionable colours that currently used in the design world.